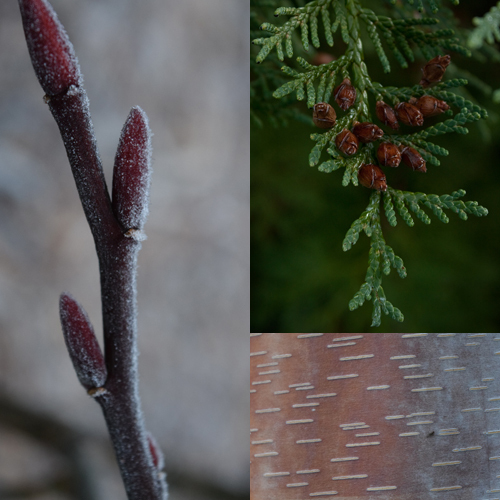 Monday, Mar 4, 2019, 9 a.m. – 4 p.m.
Do conifers confuse you? Do all deciduous trees look alike once the leaves fall? If so, this class is for you, whether you simply need a refresher on tree identification or want to improve your existing skills and sharpen your ability for quick tree recognition in the field. We will begin in the classroom at the Center for Urban Horticulture to review the basics of tree identification techniques, the use of taxonomic keys, and to discuss the common landscape tree species and varieties used in the Pacific Northwest. This will be followed by an outdoor field session where you will practice tree identification techniques on a walk to the main campus of the University of Washington. Lunch is included. This class is designed for landscape professionals and/or those with basic familiarity with plant identification.